When seconds make all the difference in receiving urgent care, there’s no time to spare trying to navigate traffic. That’s why St. Christopher’s Hospital for Children helps lead the charge in providing transport for critically ill neonatal and pediatric patients — as many as 4,000 annually in the tri-state area. St. Christopher’s Hospital for Children continues to expand its reach and commitment to the region with the development of the Critical Care Tower. The cutting-edge 135,000-square-foot medical tower, which opened last April, houses St. Christopher’s new neonatal intensive care unit, expands the existing dental unit, the critical care unit and opens a larger gym area for physical and occupational therapies. The new tower is also home to The Stuart J. Hulnick Burn Center, the only dedicated pediatric burn facility in Philadelphia. The completion of the Critical Care Tower brings 39 new beds to the neonatal intensive care unit, which offers the highest level of care and private rooms for families. This innovative facility is just one of several construction projects St. Christopher’s added to its plans for expanding care to children and their families in Philadelphia. 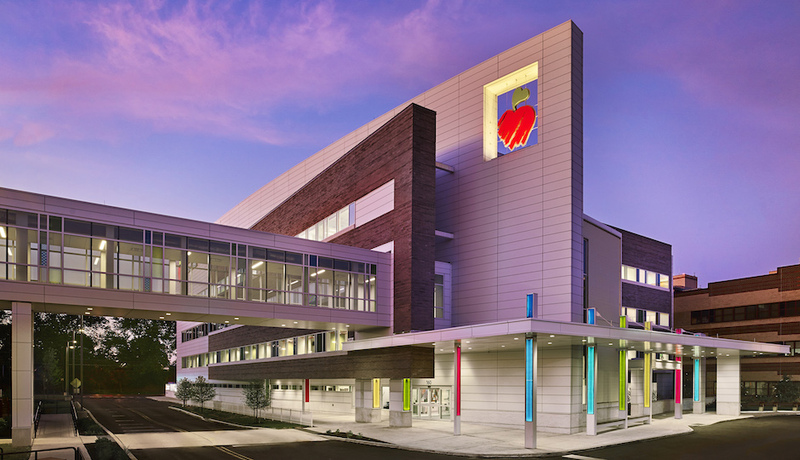 In 2014, St. Christopher’s Center for the Urban Child opened, a community-focused primary and preventative care initiative designed to address the issues that contribute to health disparities in children as well as their families. With more than 220 pediatric experts on staff, St. Christopher’s Hospital for Children provides a wide range of specialized care for infants, toddlers, and teens. Interested in learning more about services and locations? Call 855-825-9578. See how the St. Christopher’s Hospital for Children team is committed to help families like yours live the best life possible. For more information, visit stchristophershospital.com.